Do you know how fast someone can get into your house? You may be very surprised at this answer but it all bothers down on your security choices for your home. The recent reports on the invasion of homes all around the country paint a gloomy picture, and you just have to be prepared if you don’t want to become the next victim and part of the statistics. Home invasions have become as rampant as car invasions, and you can check for yourself on the internet to see the videos of how intruders manipulate locks and gain access through the garage and even through car doors. Only you can take the necessary actions to stop intruders from invading your home and we are happy to tell you that GreenPro Locksmith will assist you to achieve a better-secured home. The main entry point for intruders is the main door knob and the reason being that it is the component that most people locked but it remains the easiest way to gain entrance into your home when the deadbolt is not locked. The most prominent things most intruders take away from homes and cars are; weapons, jewelry, gadgets such as laptop and smartphones, small safes, medications and of course, money. The sad reality about these invasions is that they are not only scary, but they are perpetrated by individuals who have visited your home before, and someone who is familiar with the way you lock your home and the weaknesses of your home’s security system. You need to stop the habit of doing the same thing on daily basis. Do you often repeat the same step every day? For instance, do you go to bed and turn off the light at the same time of the day or do you leave your garage door open when you drive in and then close it at the same time every day? When people know the time, you close your window blinds or repeat some other habits on daily basis, then they can study your weaknesses. It is important that you don’t repeat certain routine at the same time, especially in the night. In addition to this, you need to pay attention to pay attention to certain areas and components. For instance, take some time off to check the nearby bushes to see if someone is lurking around, make sure you check the door frames as well as window seals for unusual scratches, especially near the handles. Perhaps the most important step you should take is to get a professional locksmith in Atlanta to inspect your home and recommend the important upgrades you should consider to ensure that your home is much safer than before. 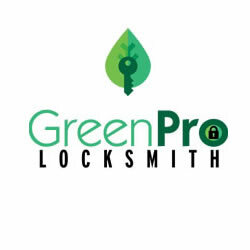 GreenPro Locksmith has been on the forefront of upgrading security locks in homes and we have helped thousands of homeowners to secure their homes through constant upgrades, we can also help you make your home more secured against invaders. Please give us a call today and we will be right there. The security of lives and property is one of the most important considerations when it comes to choosing a residential building and business location. Therefore your family, treasure, assets and important documents have to be secured to give you rest of mind and installing a deadbolt lock is the right step in the right direction.